Manolo is Pet of the Week! You are here: Home / Pet Corner / Manolo is Pet of the Week! 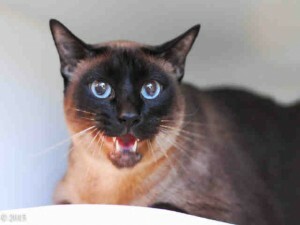 Manolo is a 20- (yes, 20) pound neutered male Siamese cat, about 5 years old. His family had to relinquish him to the shelter because they lost their home. This is too common a tragedy for both humans and animals. If you can at least make it better for Manolo (and maybe provide enough exercise to shed what may not be muscle and bone), come meet him on the shelter side of the Companion Animal Village at 7700 East Spring St., (562) 570-PETS. Ask for ID#A494777.